I’ve mentioned before that chewy hand-pulled noodles are basically the best thing ever. That continues to be true. That’ll be true forever. Hundreds of years from now, when the robots complete their bloody uprising and have wiped out the human race, it’ll continue to be true. 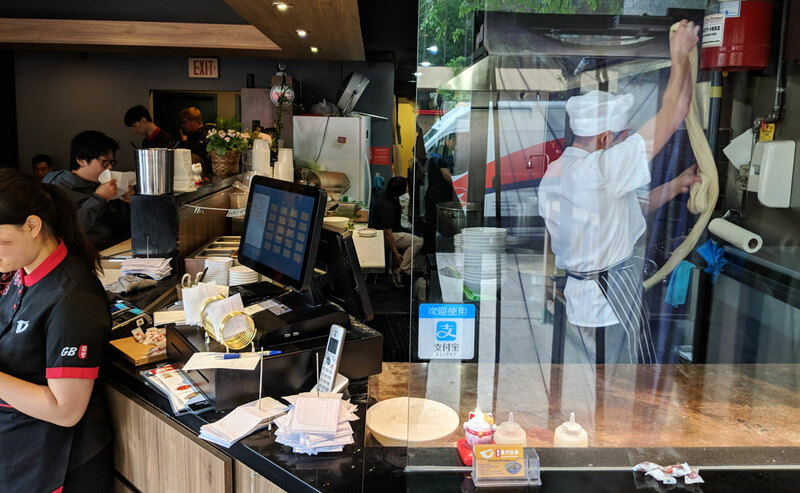 Even robots will enjoy hand-pulled noodles. Because they’re the best. 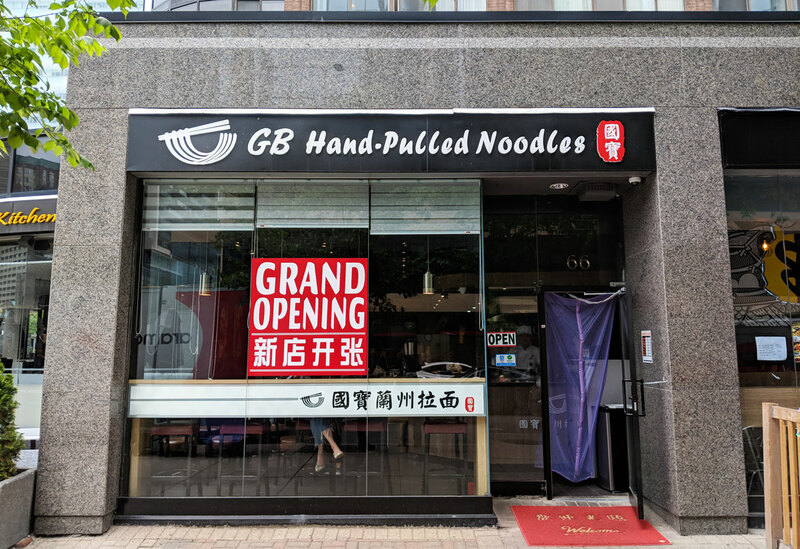 And if you’re craving hand-pulled noodles and don’t feel like venturing out into the ‘burbs, you could certainly do worse than GB Hand-Pulled Noodles. They have a few things on the menu, though the main attraction here is the noodle soup. You can choose your noodle thickness from seven (!) different options, which range from “super thin” to “extremely wide.” I went with narrow thick, which is right in the middle. The soup itself is fine, though it is a bit one-note salty (no one around me finished their broth, nor did I). 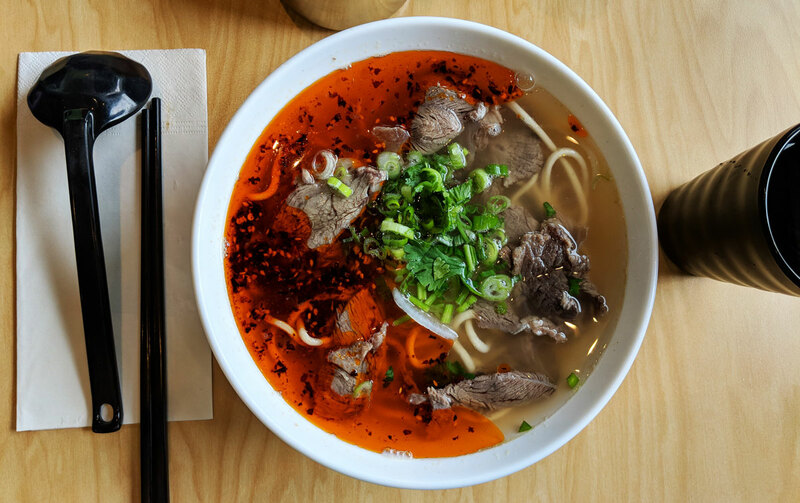 The prodigious amount of tasty chili oil that they serve it with certainly helps, but it’s clear that the soup is more of a vehicle for the noodles than something anyone would particularly enjoy on its own. Aside from the noodles, the other highlight is the thinly-sliced beef, which is tender and flavourful. The beef at noodle joints like this tends to be hit-and-miss, so I appreciated the level of quality here. But of course, the reason you’re here is those noodles, which get expertly pulled in full view of the dining room. The narrow thick noodles that I picked basically look like a particularly weighty spaghetti. They were chewy, toothsome, and outstanding. 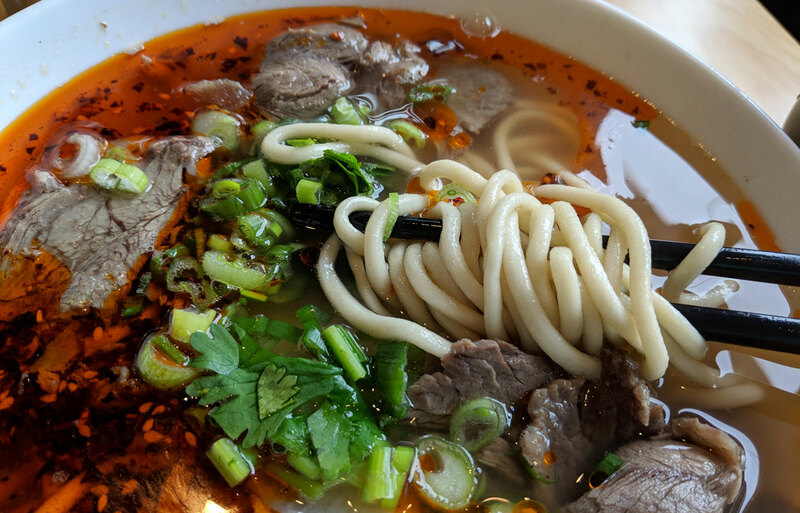 Even by the standards of hand-pulled noodles, these were particularly firm and substantial; I was on the fence about them at first, but they quickly won me over.